You’ll love this limited edition print of his ‘Big Storm over Scalpay Light Isle of Harris’ on the canopy of this top quality square shaped umbrella. This will be a signed limited edition – only 25 of these will be sold. 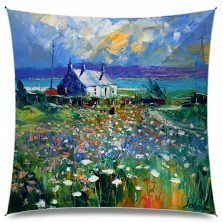 If you’re a fan of contemporary Scottish artist, John Lowrie Morrison, or JoLoMo as he’s often called, this is the for you! 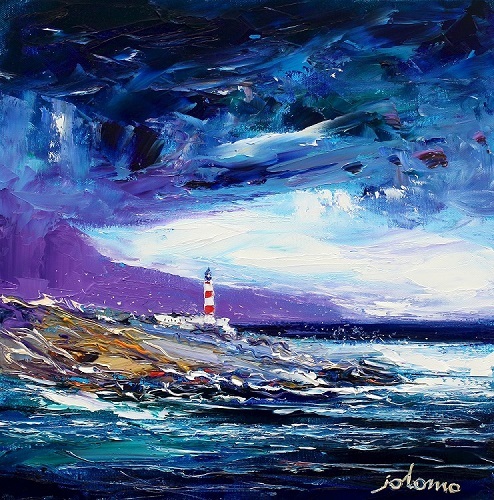 The JoLoMo Big Storm over Scalpay Light Isle of Harris. 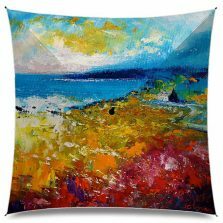 Perfect for collectors and connoisseurs of fine art and umbrellas! Perhaps you know someone who appreciates or collects JoLoMo’s art? 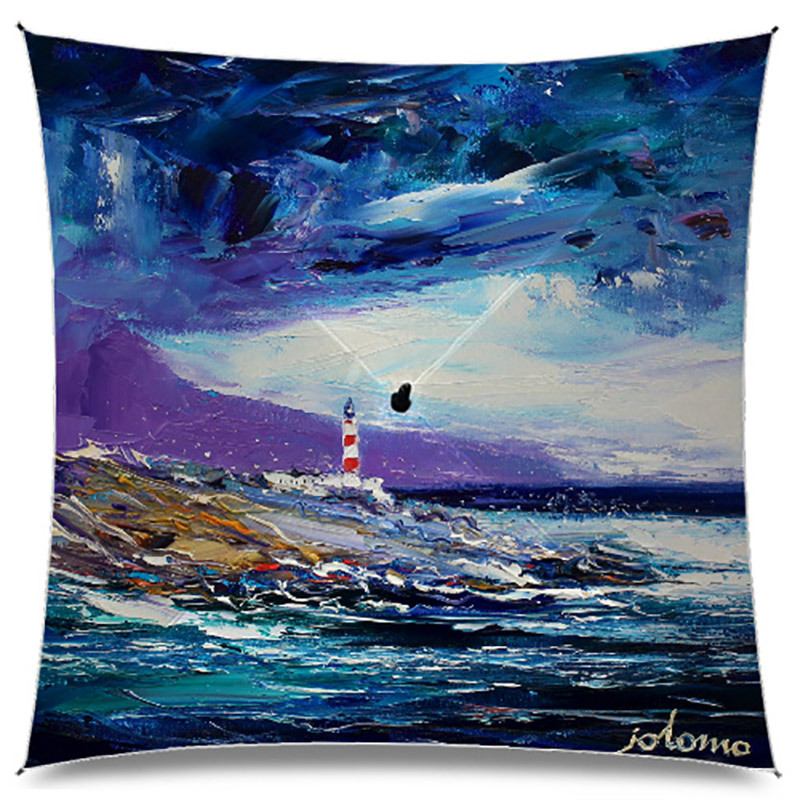 Well, what finer gift than a unique JoLoMo umbrella? 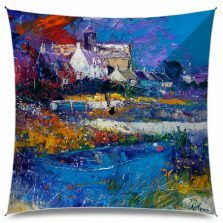 This unique art umbrella will be signed by John Lowrie Morrison himself and have a limited edition number. And it’s not just any umbrella. The design of this umbrella is also a bit special. Here we have a totally unique, new concept of square umbrellas! 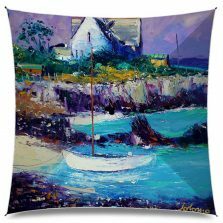 Our square umbrella has a canopy width of 94 cm (37″), or 136 cm (around 4 ft 6 inches) from corner to corner. There’s plenty of room for two. Overall length is approximately 102 cm (40″), from top to toe. It is the perfect fashionable golf sized umbrella with individually spring tensioned wind resilient fibreglass ribs.